Console table - rococo - with acanthus and shells - gilt - Ornapedia 3. 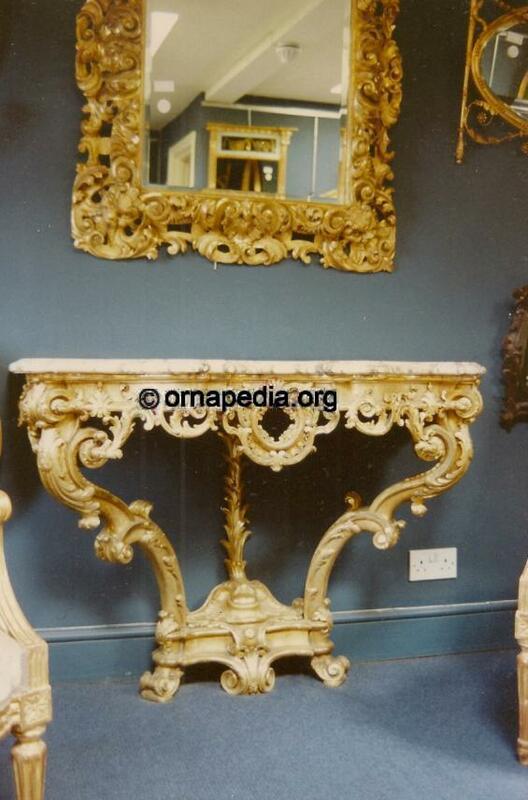 Description: Gilt console table, Rococo. Detailed with acanthus and shells.